Bernard Tomic's European claycourt season has begun with a 6-2 6-4 loss to Alexandr Dolgopolov in the first round of the Monte Carlo Masters. 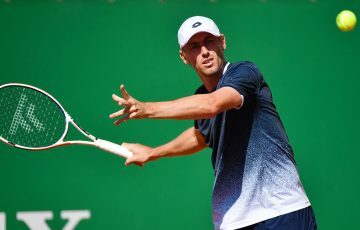 Bernard Tomic’s European claycourt season is off to a less than ideal start, with the Australian losing 6-2 6-4 to Alexandr Dolgopolov in the first round of the Monte Carlo Masters. Tomic, who has a base in the tax-free principality, failed to shine on Sunday in his new locale, losing in just an hour to the Ukrainian world No.22 who has won four of their five career meetings. The result was a duplicate of the defeat Tomic suffered to Dolgopolov a year ago in the second round. 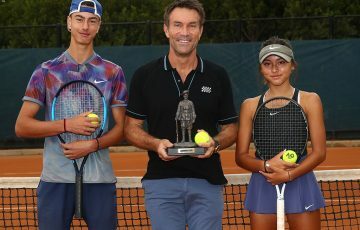 The 43rd-ranked Queenslander was broken three times in the brief affair which marked his ATP spring introduction to the clay after winning both his Davis Cup ties on the surface in Uzbekistan last weekend. The Australian’s loss was his seventh of the season against 13 wins. He stands 1-3 in Monte Carlo. 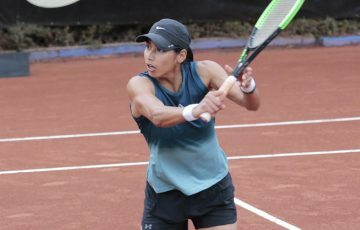 With leading seeds given first-round byes at the cliffside Country Club, only three main-draw matches were scheduled on the day as the qualifying round wrapped up on a postcard perfect day on the Mediterranean coast. 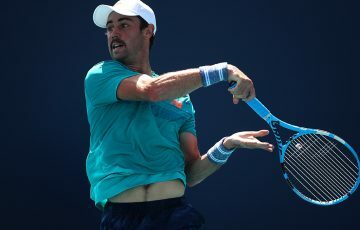 German Philipp Kohlschreiber, a two-time quarterfinalist, became the first seed into the second round as the tournament No.16 dispatched Thomaz Bellucci of Brazil 6-4 6-2. 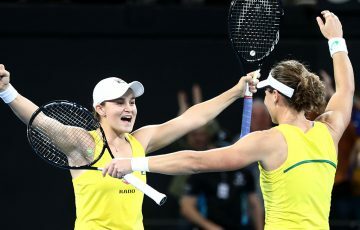 Action for leading lights should highlight play from Monday, though elite seeds are unlikely to take to the courts before Tuesday at the earliest. All eyes are on third seed Rafael Nadal, starting a bid for an unprecedented ninth straight Monte Carlo title. Scot Andy Murray, the Miami champion a fortnight ago, takes the second seeding and could line up against Spain’s king of clay in a possible semifinal. But new world No.2 Murray is also in danger, with calculations suggesting that if he loses before the quarterfinals, his place in the rankings will be taken back by Roger Federer. The Swiss, recently relegated to third, is missing the only optional Masters 1000 to continue a pre-planned training block at home. 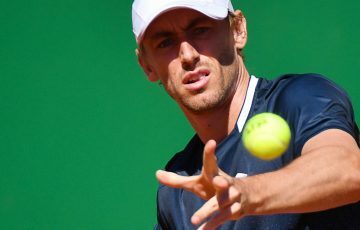 His return is set for the Madrid Masters in three weeks, when he will defend that title won on controversial blue clay. Spanish grinder David Ferrer, losing finalist in Miami to Murray and the 2011 Monte Carlo runner-up to Nadal, withdrew because of the thigh injury which bothered him in Florida.